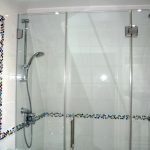 Is your glass staircase compliant with Building Regulations? 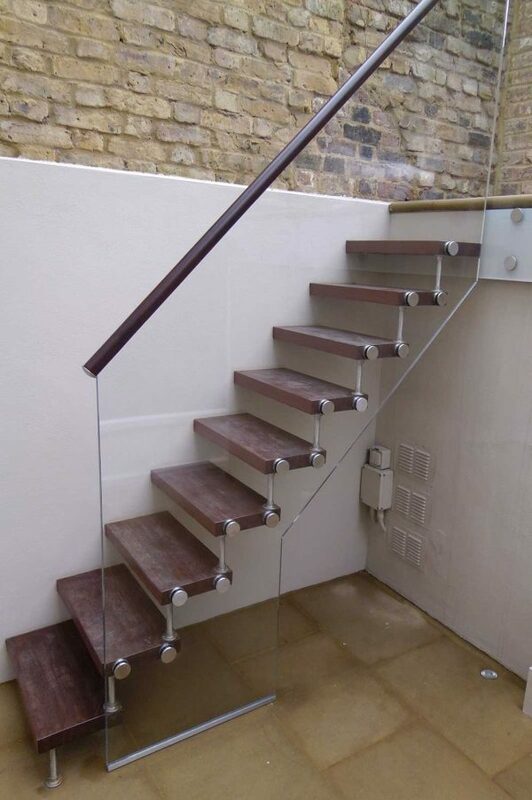 A glass balustrade ensures this cantilevered staircase meets building regulations. Owners of Victorian home had installed a cantilevered staircase from their basement to ground floor level. Designed in teak with minimal stainless steel risers the staircase looked fantastic – but unfortunately did not meet building regulations. 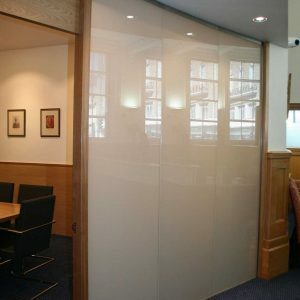 Ion Glass designed a single panel glass balustrade to make the staircase compliant with minimal visual interference to the original design. 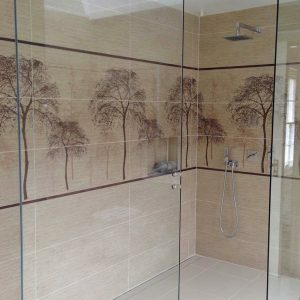 The frameless glass balustrade was bolted to each individual tread but also required a substantial base at floor level to counteract any flex in the stairs during use. 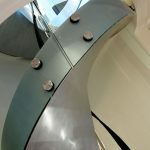 Accurate templating ensured perfect positioning for the bolts on this deceptively simple glass balustrade installation. 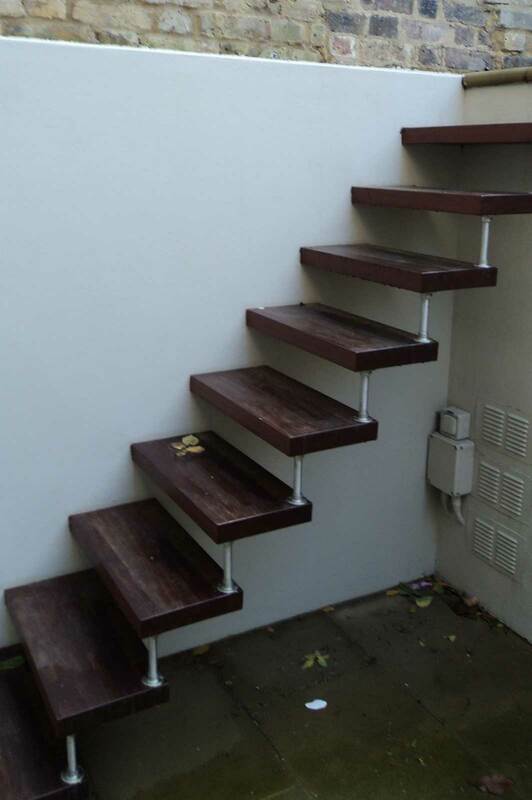 A teak handrail to match the stair treads was fitted, providing a cohesive finish to this effective (and now wholly compliant!) external glass balustrade. 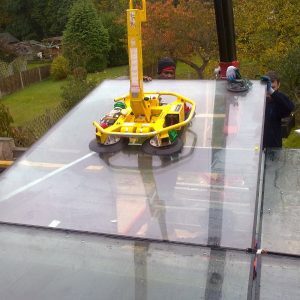 Let the crane take the strain!